I went looking for an elusive blue I had seen in a photograph of Iceland. This blue represented everything I wanted to experience–stillness, the kind of frozen purity that gets locked in ice. I had never been to Iceland and I had never been that far north in my life. I not only found the blue I was searching for, in the studio one morning, but many other rich and deep soul-fulfilling blues. This show is my love affair with this family of blue hues I now collectively call ICELAND blue: streaming into my studio in the long sunrise, in the underwater lights at a community swimming pool, in a window in a house as I walked in one night in Akureryi, and in the first snow and ice. 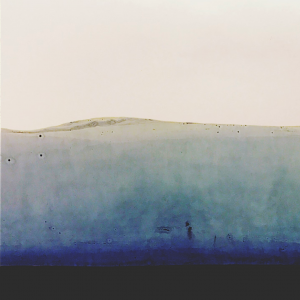 a show of drawings, cyanotypes and works on paper based on my residency in northern Iceland.